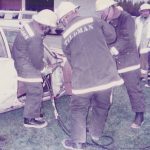 Snohomish County Fire Protection District No. 21 was created on October 25, 1960 through a public vote with Lewis Rylie, Martin O’Sullivan, and Clifford Rod, elected as the first commissioners presiding over the governance of the District. 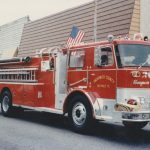 Originally all emergency services were contracted through the City of Arlington and Cascade Hospital, until 1974 when the District built its own fire station (Station 49) in the Arlington Heights area. 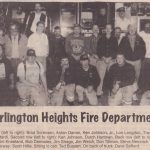 Our firefighters have historically and continue to consist of an all-volunteer complement, staffing the Arlington Heights Fire Station during daytime hours and responding from home at night. Currently, the District employs an administrative staff consisting of a part time district secretary, and three chief officers. 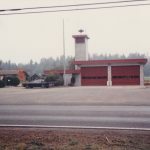 Station 49 originally was built in 1974 with 2 truck bays, a small office area and bathrooms. 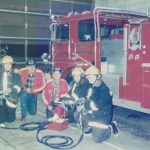 In 1987, the station had 2 additional truck bays built on to house apparatus that were at the time, being parked outside. In 1998, another addition was constructed to either side of the station to incorporate laundry and work areas, a water treatment system, a backup power generation system, and meeting room.